Penang Office is a cancer counseling center co-established by Penang Anti- Cancer Association and St. Stamford Modern Cancer Hospital Guangzhou on January 13, 2018. It aims at providing better medical consultation service for cancer patients in north Malaysia. Cancer patients and their families are able to consult with Dr. Tai Lee Siang, chief Medical Consultant of Penang Anti-Cancer Association in Penang Office, and they can also communicate with oncologists from St. Stamford Modern Cancer Hospital Guangzhou through video conference, which means that cancer patients can easily get free disease evaluation, experts consultation, and information about medical technology, environment and services of St. Stamford Modern Cancer Hospital Guangzhou without going abroad. St. Stamford Modern Cancer Hospital Guangzhou is a joint venture of Singapore Perennial Real Estate Holdings Limited and the biggest medical investment group of China—Boai Medical group and a hospital specialized in cancer treatment. St . Stamford Modern Cancer Hospital Guangzhou has been accredited by JCI, which stands for the highest level of accreditation for medical services and hospital management. 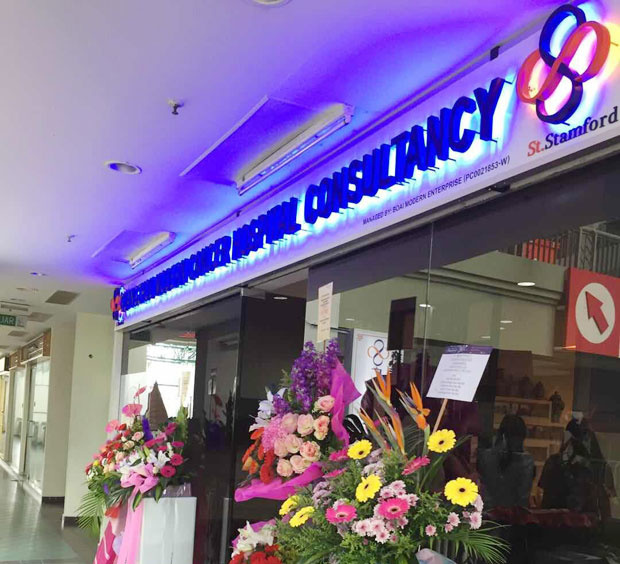 In 2014, St. Stamford Modern Cancer Hospital Guangzhou has set up a Kuala Lumpur office in Malaysia to provide free cancer consultation services for cancer patients in Malaysia and assist patients in relative issues like visas and air tickets,etc.. In KL Office, patients can talk to oncologist directly and get free disease evaluation, recommended treatment suggestion and a rough expense. St. Stamford Modern Cancer Hospital Guangzhou has not only advanced minimally invasive therapies, experienced Multidisciplinary Team (MDT) and considerate services, but also more than 60 value-added services, including visa guide, transportation service, birthday celebration, free one-day tour around Guangzhou, weekly movie watching, etc, which have get highly praise from patients and their family members both at home and abroad.